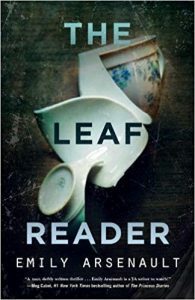 The Leaf Reader, Emily Arsenault (Soho Teen 978-1-61695-782-7, $18.99, 240pp, tp) June 2017. Emily Arsenault has been writing quirky mys­teries for adults for some time, garnering her a much-deserved following from card catalog aficionados (for The Broken Tea Glass) to Dolly Parton, Tammy Wynette, and Loretta Lynn fans (for Miss Me When I’m Gone). Now with her young adult debut, The Leaf Reader, the author dives deep into the missing girl trope, giving readers the mystery of Andrea Quinley: Caucasian, popular, and pretty. The twist here is not necessarily what happened to Andrea (although that is certainly what everyone in the book would like to know), but how her classmate Marnie Wells goes about solving the mystery. Read­ing tea leaves is just something Marnie learned from an old book on her grandmother’s shelf, it’s nothing serious, nothing real. And yet the leaves start telling Marnie things she can’t ignore and a whole lot of secrets about her small Connecticut town are soon bursting forth in ways that no one ever expected. Soon enough, she is hot on the trail of something big and has no choice but to follow every clue that appears in the tea cups she is asked to look into. Sounds like a good story, doesn’t it? The Leaf Reader is girl detective meets Willow Rosenberg (in the early seasons before she really knew what she was doing), meets every kid in every teen book ever from the wrong side of the tracks. Marnie is not in Andrea’s social set but she’s smart enough and quirky enough to still be on the accept­able fringes of the high school hierarchy. 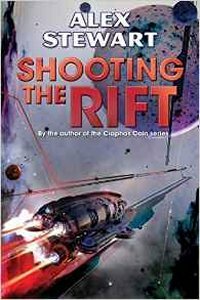 She’s got her own problems with a mother who is long gone, an older brother whose life blew up in a very public way, and a grandmother as guardian who is, to put it politely, eccentric. Marnie reads tea leaves for friends for all the standard teen reasons: romance, romance, and romance. But when Matt Cottrell, the last person to hear from Andrea before she vanished, asks her to read his leaves, the results are not only unexpected but lead Marnie into a possible relation­ship with a boy she cannot trust, who has plenty of secrets of his own. 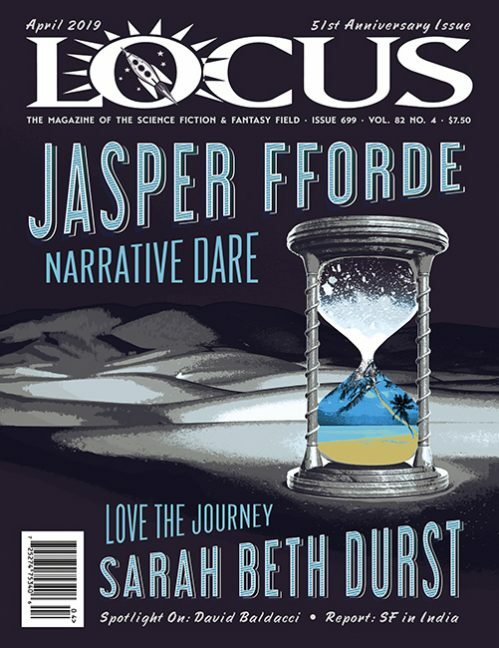 The clues come fast and furious in The Leaf Reader and Arsenault does an excellent job of slowly rolling out the supernatural aspects of Mar­nie’s “talent.” At first, it really does seem that she is doing something fun but nothing special. Then, as Matt and his friends ask for readings, the suspense kicks up along with a serious creepy factor. That is when Marnie realizes that the tea leaves are less about other people and more about her. Then all the questions about her family, all the ways in which they have never quite fit in, take an ominous and incredible turn. And Andrea’s disappearance, as important as it is, becomes just one more part of a larger truth that Marnie must get to the bottom of, no matter what she finds. 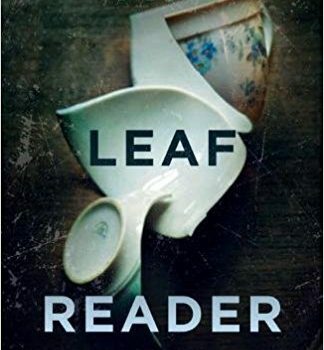 In addition to all the clues and mystery-solving in The Leaf Reader (which are a lot of fun even when they take a deadly turn), Arsenault also casts a refreshingly hard look at societal class differences. Andrea is a cause célèbre for cable news entirely be­cause she fits of the model of “girl we are supposed to care about.” But when some unsavory questions are raised about her activities and friendships, no one wants to hear them, or rather they want to blame everything on someone else, someone from Marnie’s side of town. It’s the battle for fairness, for one miss­ing teen not taking precedence over another, that soon grips the narrative and becomes most important to Marnie. As so many others decry what might have happened to Andrea, she cannot ignore the fact that while the rich kids are easily getting into self-made trouble, the poor kids are just trying to survive. The ugly truth that surfaces is that one kid’s party is another’s source of food and shelter. That so many adults willfully ignore this reality, and its victims, is what truly gives Arsenault’s narrative its heart. Rest assured, the author takes readers on another unique ride with The Leaf Reader, a mystery that offers all teens could want in smart and supernatural writing.